Advocates for safe injection sites to combat America’s overdose epidemic could gain momentum from a new study of an unsanctioned site that’s been operating sub rosa and anonymously in an urban area for three years. Researchers found that the site reduced injections in nearby public spaces and increased safe disposal of equipment, although the “proof of concept” evaluation published in the American Journal of Preventative Medicine couldn’t be more conclusive due to the secret nature of the site. Supervised injection facilities allow clients to use drugs under the guidance of a nurse or other medical professional. Research on some of the approximately 100 facilities in operation outside the U.S. (mainly in Canada, Australia, and the E.U.) indicates a decrease in overdoses for users and more accessible treatment options. “Over half a million people have died of overdose in the U.S. since 2000,” wrote Dr. Alex H. Kral and Dr. Peter J. Davidson in the Journal. 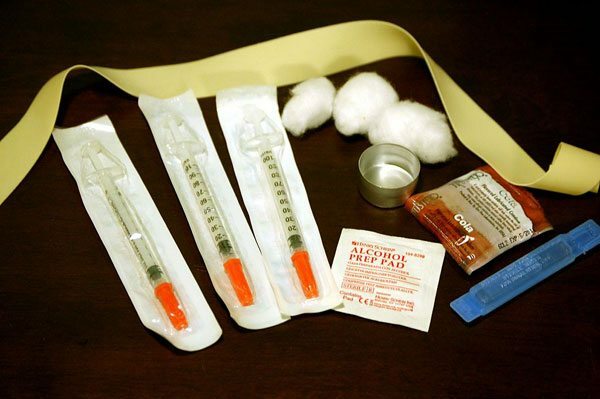 The prevalence of HIV and hepatitis C virus among people who inject drugs in the U.S. is 2 percent and 43 percent, respectively. With the U.S. in the midst of an opioid epidemic causing morbidity and mortality at unprecedented levels, policymakers and public health practitioners are in need of innovative solutions… Supervised injection sites are the next evidence-based harm reduction strategy that should be considered for implementation in the U.S.
Trump criticized President Barack Obama’s administration for having fewer drug prosecutions and not enacting longer sentences… This stance, however, ignores the ongoing bipartisan agreement that the War on Drugs was a failed initiative that increased this country’s prison population precipitously while not achieving its purpose. It also omits the role of prescription drugs in feeding the problem. If safe injection sites still see pushback, halfway measures could include the use of firehouses as “safe stations” where users can seek help without reprisal, as in some New Hampshire cities, or a program implemented in Boston in 2016 to offer supervision without the possibility of injections. The Boston Health Care for the Homeless Program implemented the SPOT program (Supportive Place for Observation and Treatment) last year to offer support, monitoring, and pathways to treatment for drug users who would otherwise be over-sedated on a street corner or alone in a public bathroom.